Upon registration, students are charged full amount of the class. If students are not able to meet the prerequisite as defined herein, student's paid enrollment fee will be returned. Please allow 2 to 3 week for the refund to appear. 1. be a citizen of the approved country(ies) including United States and Canada. 2. be able to present clear evidence of identity and age which is defined as a valid, non-expired passport, driver's license or identification card issued by the Department of Motor Vehicles. A military and Law Enforcement identification is also acceptable. "No person or agency may require or request another person to obtain a firearms eligibility check or notification of firearms eligibility check pursuant to Penal Code section 30105, subdivision (h). A violation of this subdivision is a misdemeanor." 4. be free of any felony, domestic violence or any other violent criminal convictions within the United States of America. 5. be able to prove the identity as the same person certified in the application upon arrival to training. 6. be able to follow instructions given by instructors and range masters as range operations depend on careful control of weapons by staff and students. 7. Sign and understand a “Release and Indemnification Agreement” releasing Tactical Advanced Combat, LLC. 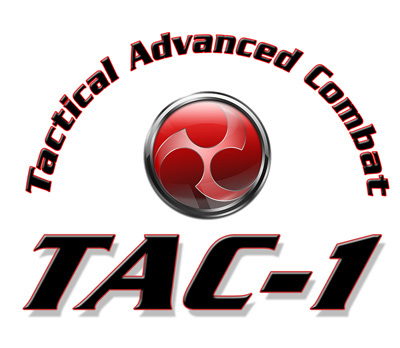 (TAC-1). 8. be at least 18 years of age or be accompanied by a supervising adult such as a parent or guardian. 9. consent to having TAC-1 verify identity and background as required under U.S. export controls, including the International Traffic in Arms Regulations (ITAR) and other applicable regulations. - A full refund will be made if cancellation is made 1 week or more prior to a scheduled class. - No refunds will be awarded for no-shows. Rescheduling using the credit may be available. Students are responsible for differences in tuition. - Credits will expire after 1 year of purchase. - TAC-1 reserves the right to cancel any classes and programs at any time. Adequate notice will be given to students. - Full Refunds will be paid in the event of a cancellation. - TAC-1 is not responsible for non-refundable travel fares, fare penalties, or any other travel expenses you may incur in the event of a cancellation. New 50% REPEAT discount policy (2018) - this discount program will immediately be amended where the discount code will expire upon one (1) full year after the full paying class. For example, if you take Pistol-I(b) on 9/30/18 the 50% Off discount will be good for another Pistol-I(b) until 9/30/19. If you had taken Pistol-I(b) 3 years ago at full price, 50% repeat discount code will no longer apply. Additionally, the registration for the REPEAT students will be placed on tentative waiting list until all of the fully paying students had the opportunity to register first. The waiting list will be placed on the class roster 1 week prior to the commencement of the class. If the class fills up to capacity, then the repeat student who is wait listed must forfeit attending that particular class. The repeat student will have the opportunity to pay in full if they wish to attend the class so long as there is availability. Exception: if a repeat student brings a fully paying friend(s) & family(s), he/she will be exempt and will be place in the class without being placed on the waiting list.